Individuals that have never been a member of the Carolina Region and USA Volleyball may apply for membership by following the instructions at our Registration page. Individuals that have been a member of either the Carolina Region or another Region of USA Volleyball in any membership season since 2004 should click on the “Member Login” link at the top of this page under Register to log in to their USAV member account and renew their membership. The paper membership form can also be used to apply for membership for a higher fee. Our membership year begins September 1 and ends October 31 of the following year. Team/Club Reps may download all Club/Team Registration information in the Clubs Folder at our Forms section after September 1 each season. 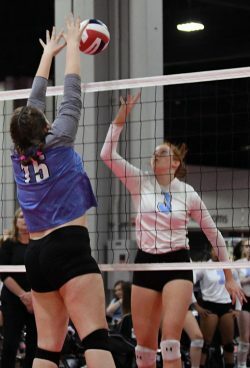 Besides the opportunity to participate in Sanctioned USA Volleyball Events, please see our Member Benefits page for other great benefits of joining the Carolina Region!